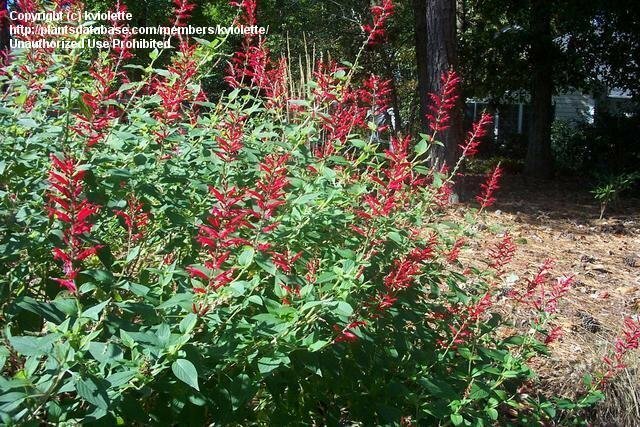 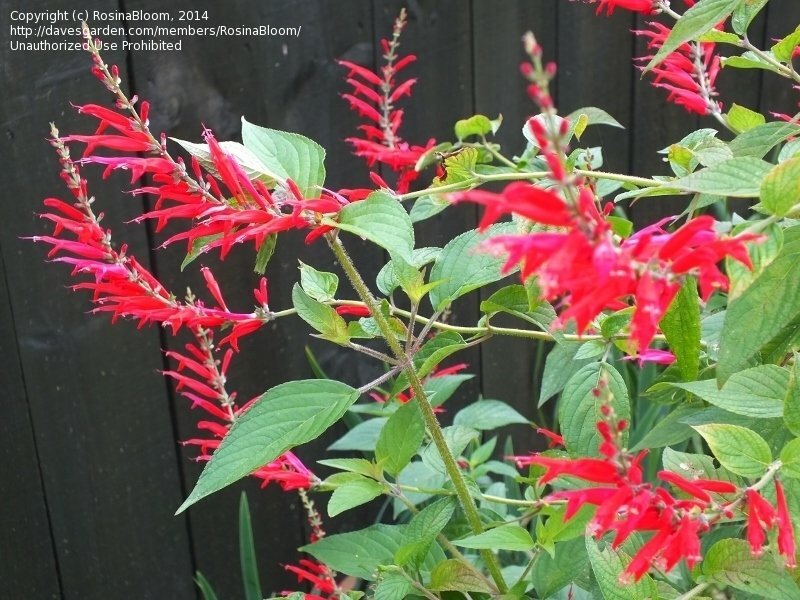 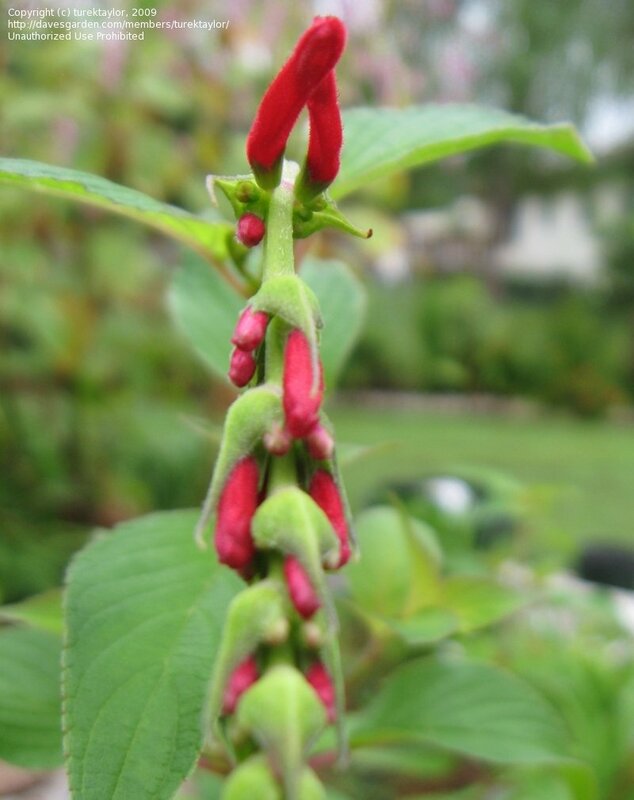 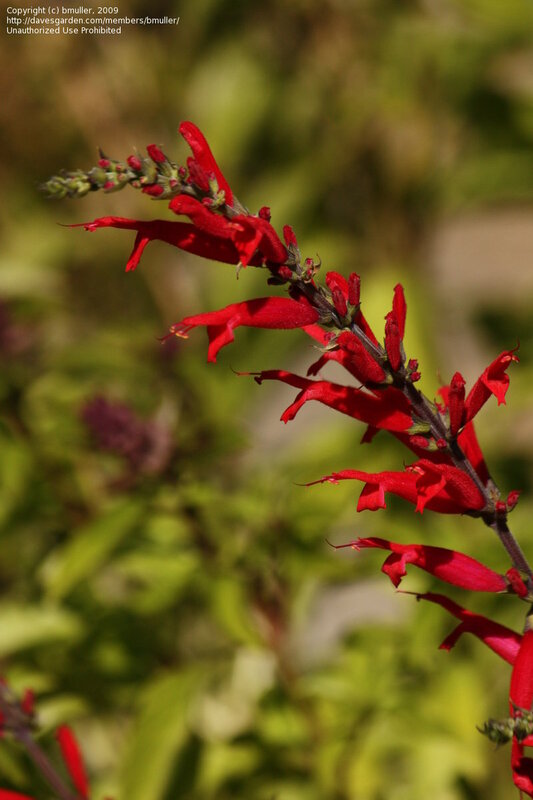 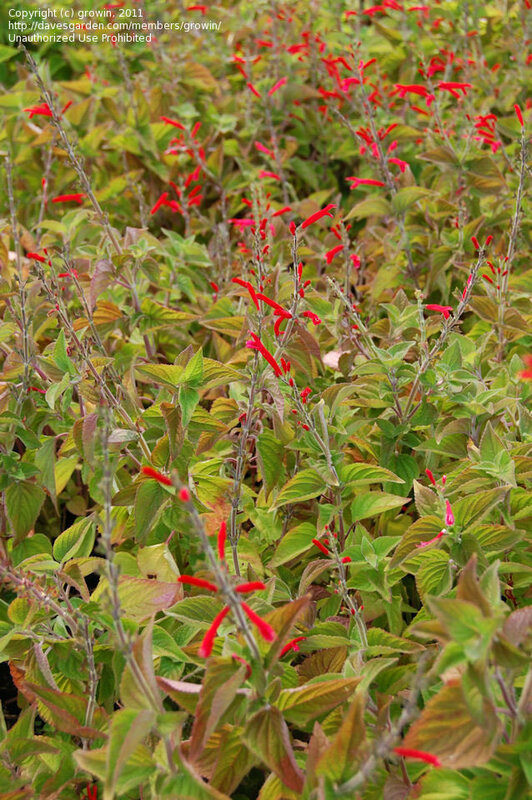 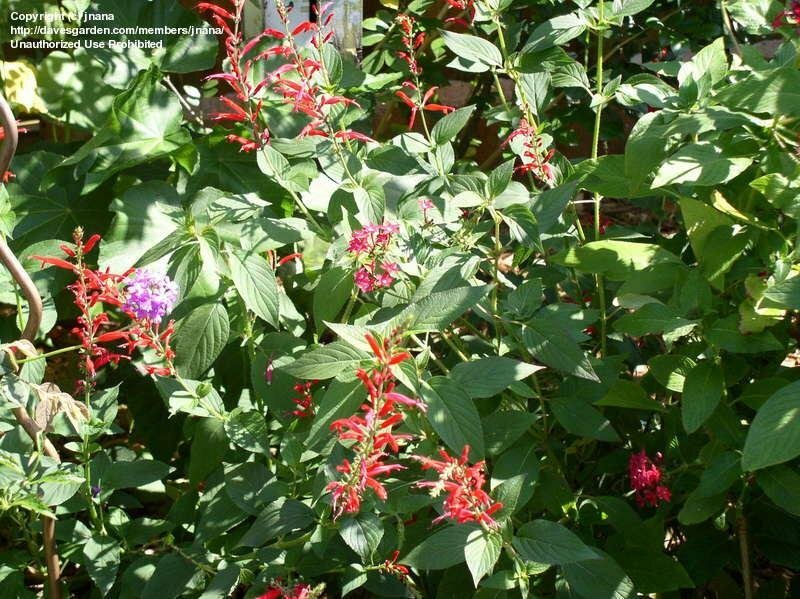 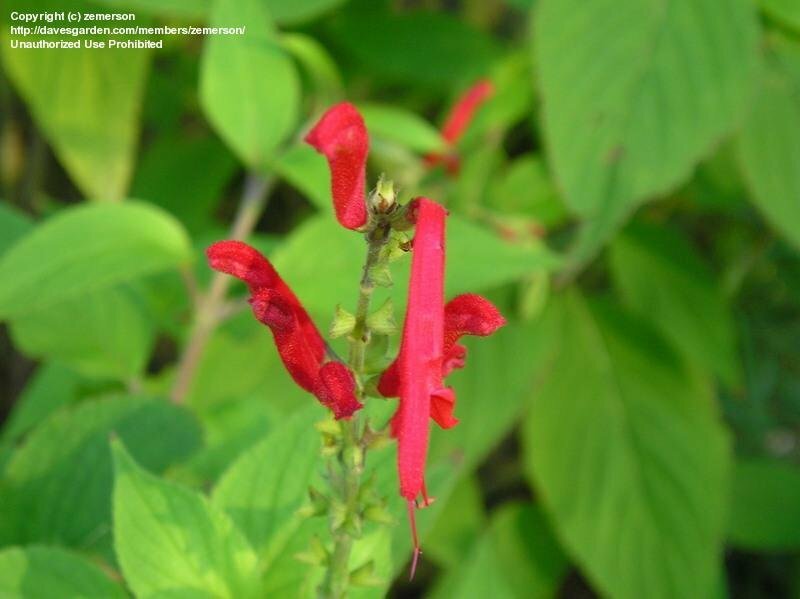 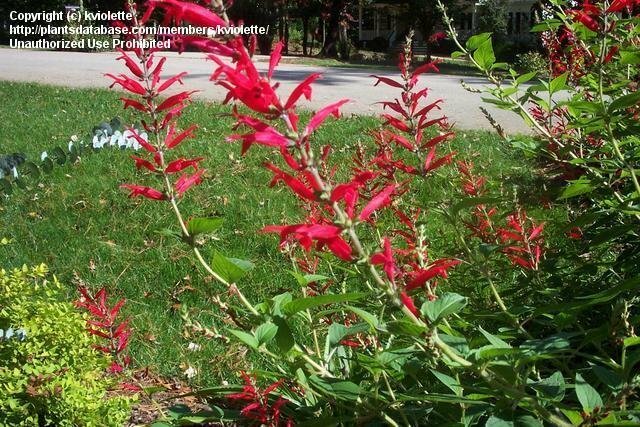 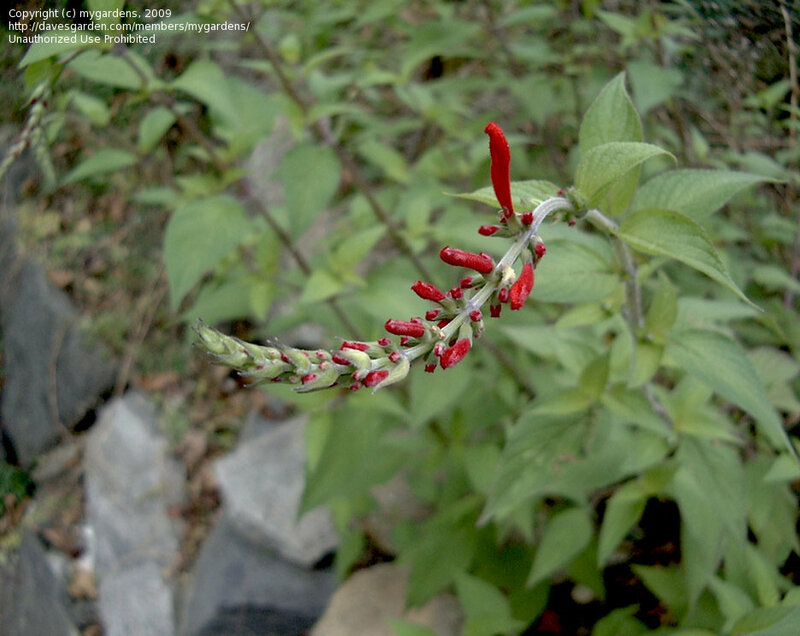 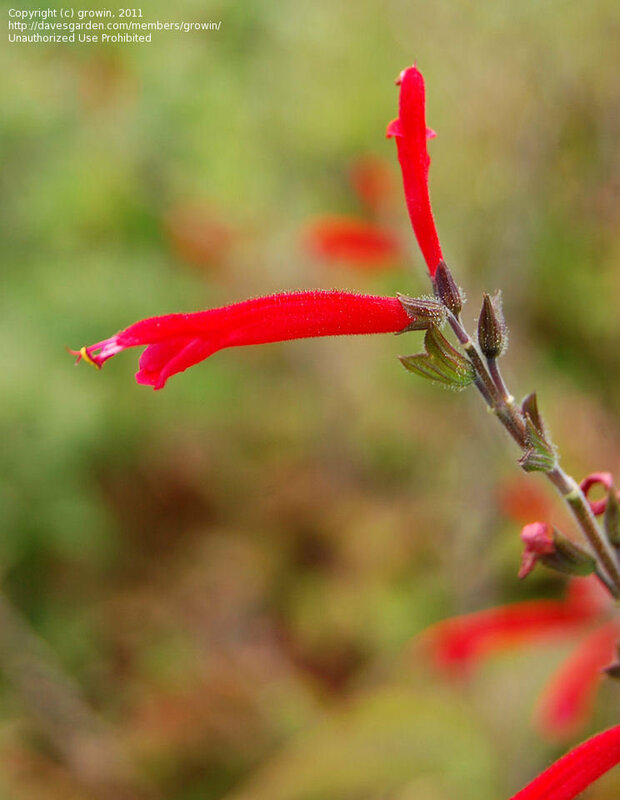 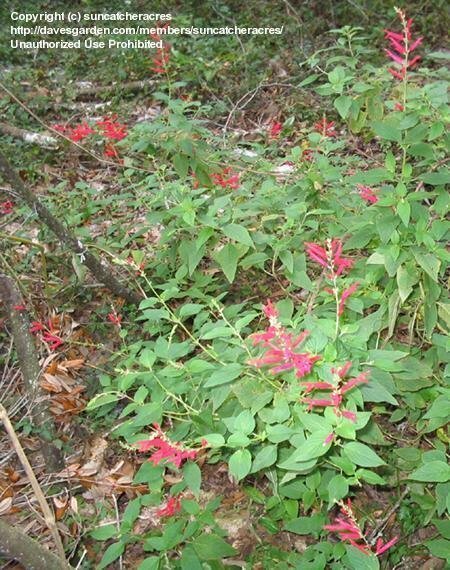 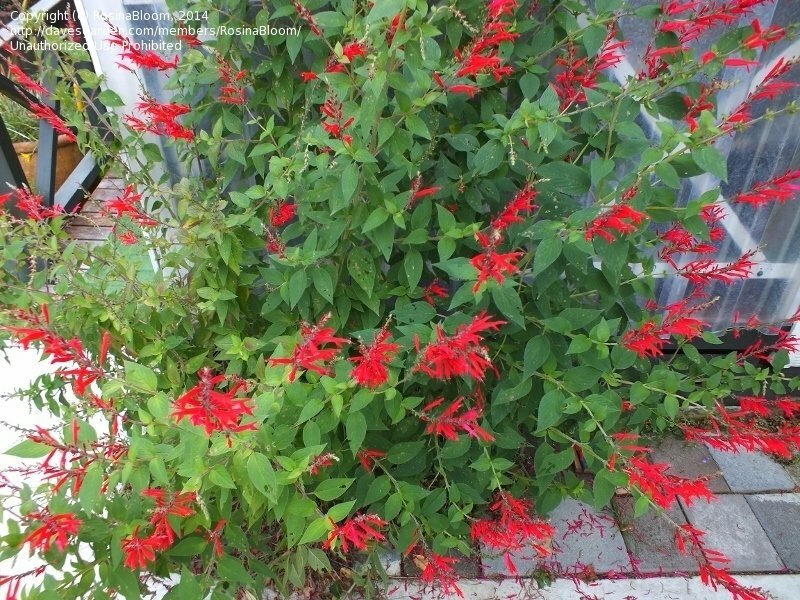 Salvia elegans in mid-October, Raleigh, NC (Zone 7b/8a). 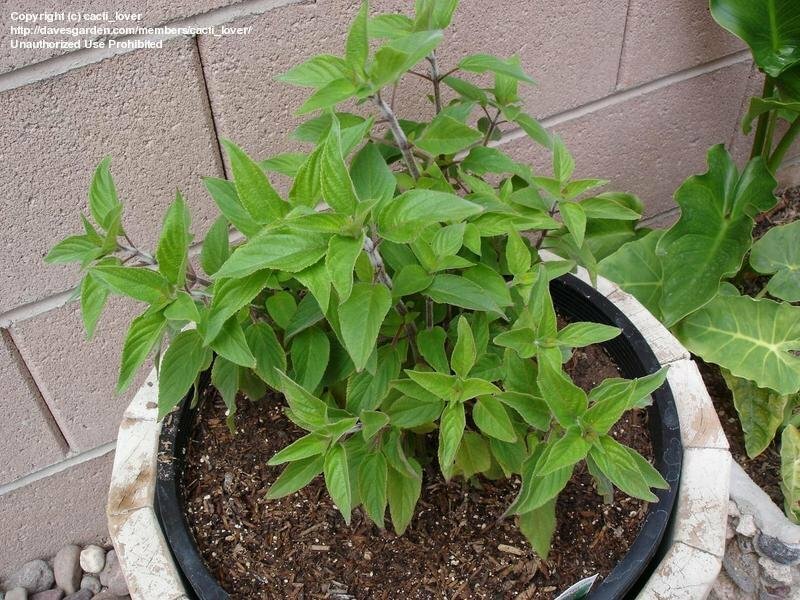 Plant is approaching 6' tall. 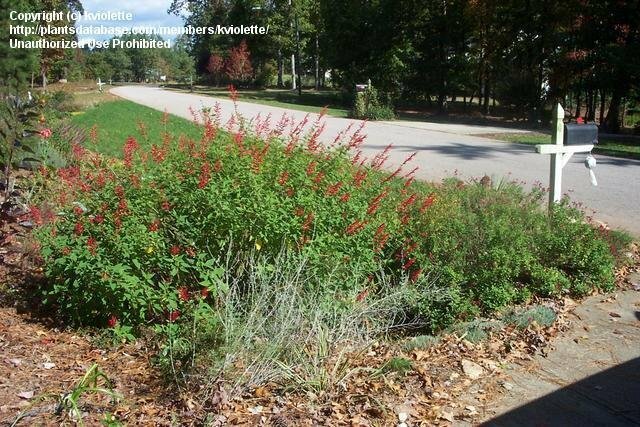 To the right is S. microphylla, in front is Persovkia a.
Salvia elegans in mid-October, Raleigh, NC (Zone 7b/8a). 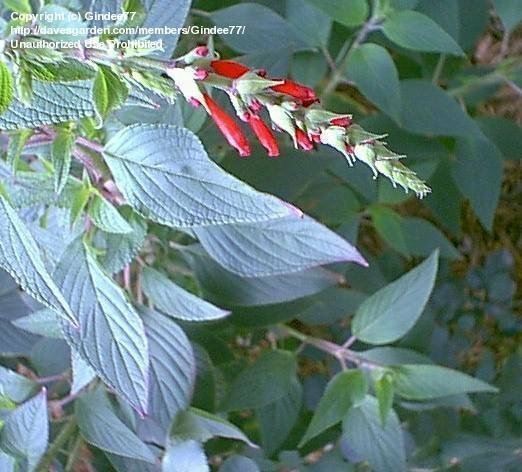 Plant is approaching 6' tall. 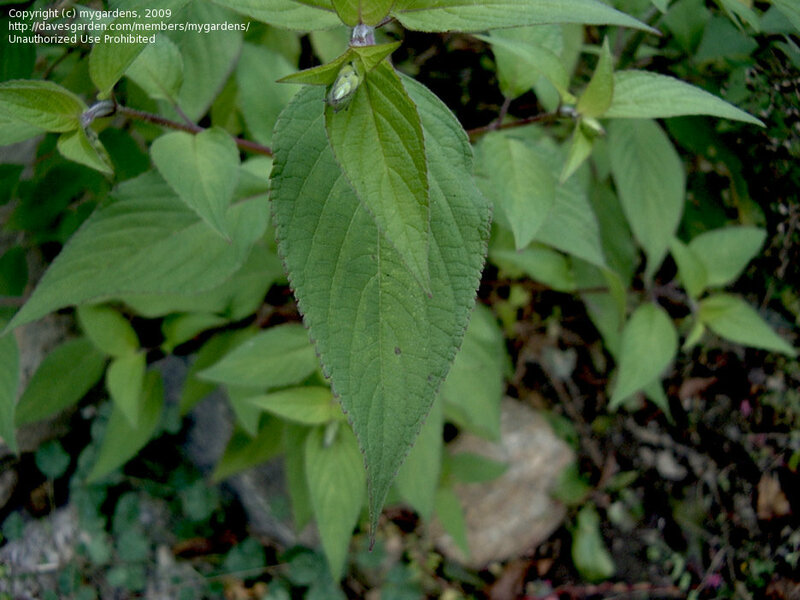 This is an eye-level image. 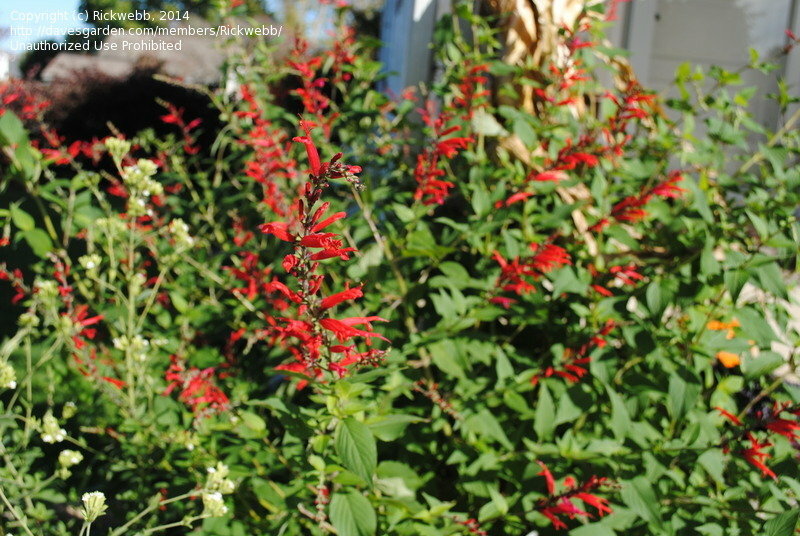 Salvia elegans in mid-October, Raleigh, NC (Zone 7b/8a). 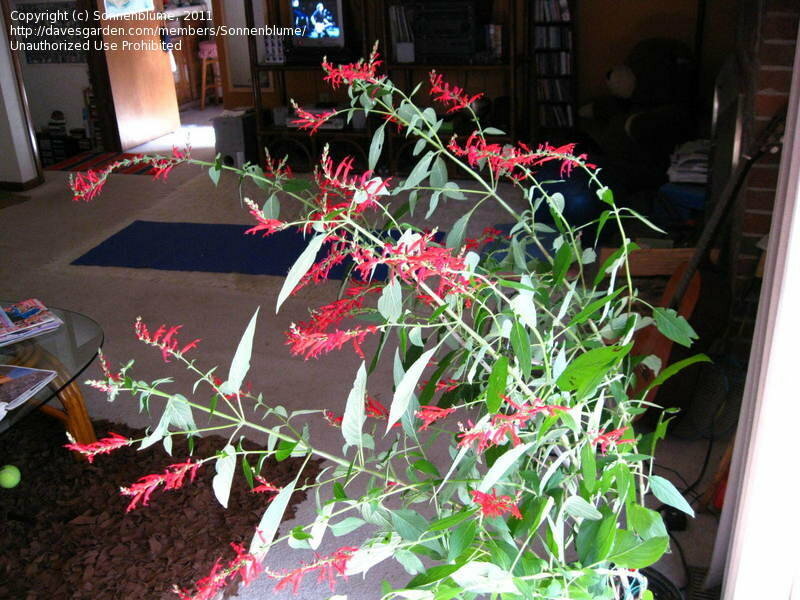 Plant is approaching 6' tall. 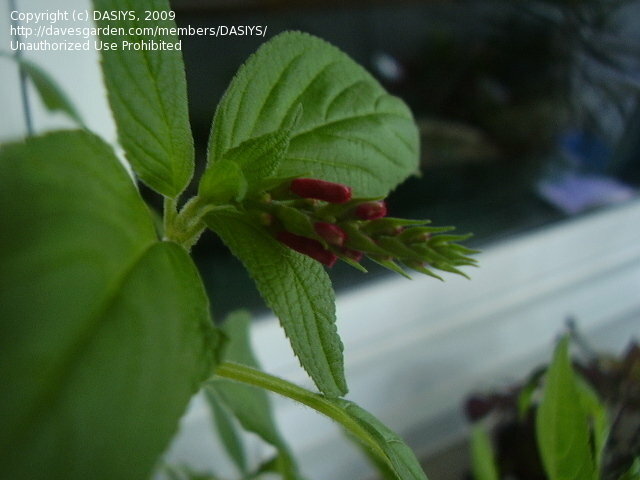 Close up of bloom spikes. 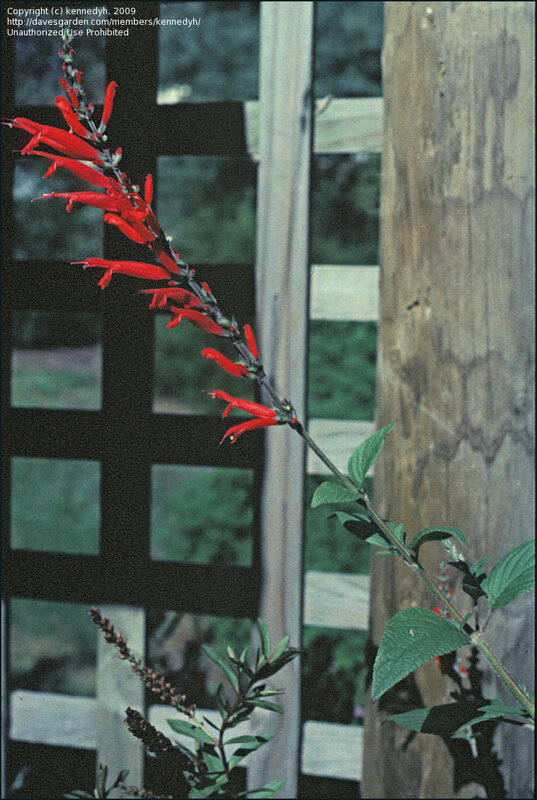 NC Florida. 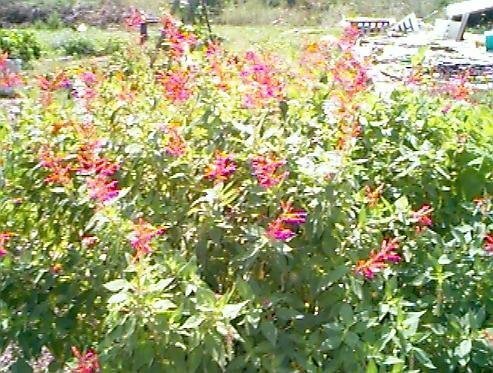 Eight foot wide planting started two years ago from an eight inch tall seedling. 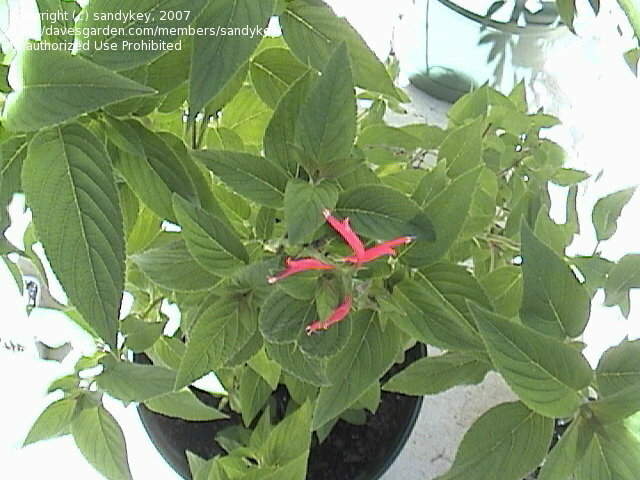 Newly potted pineapple sage. 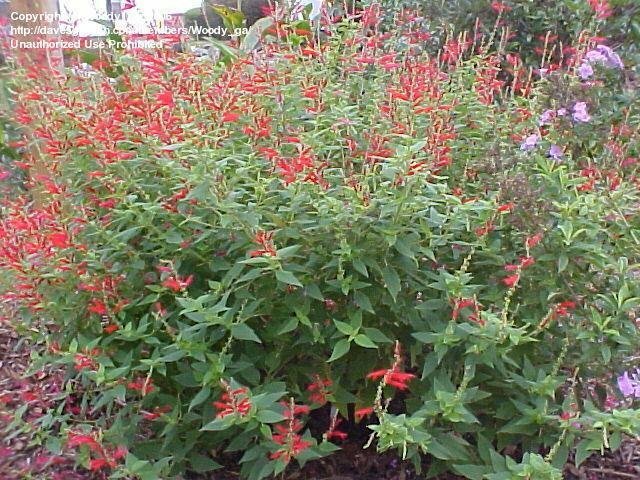 Grown as a perennial here. 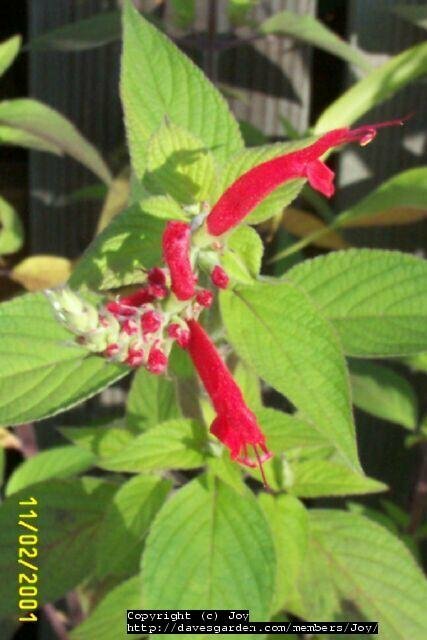 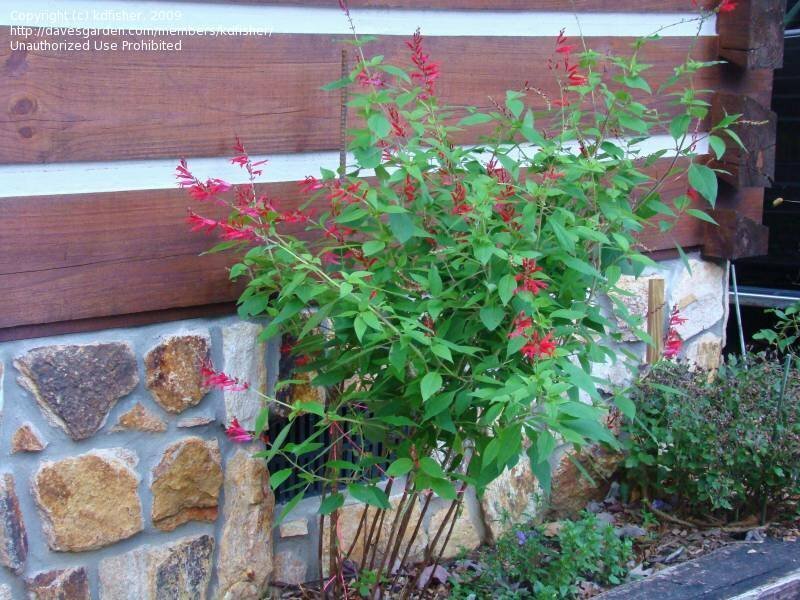 Pineapple Sage, Salvia elegans, on my patio. 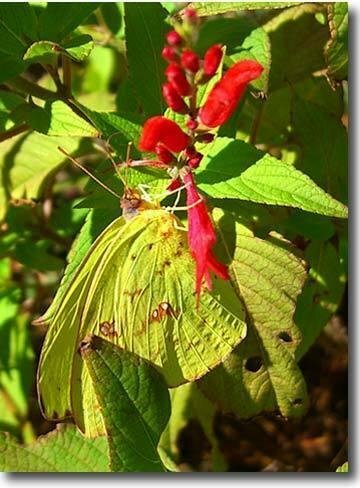 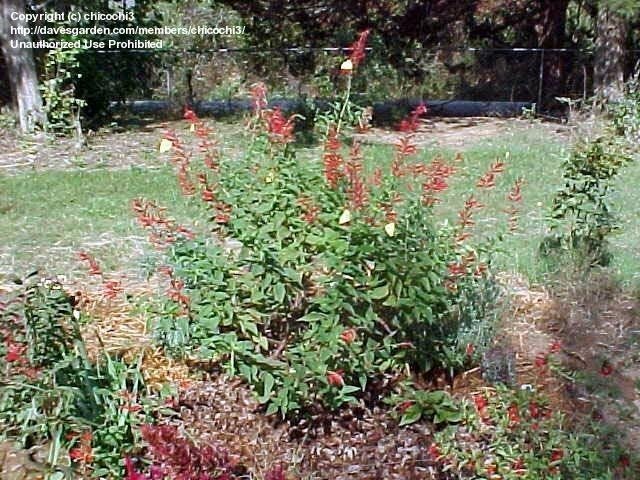 Here's a pineapple sage with 6 yellow butterflies on it at once! 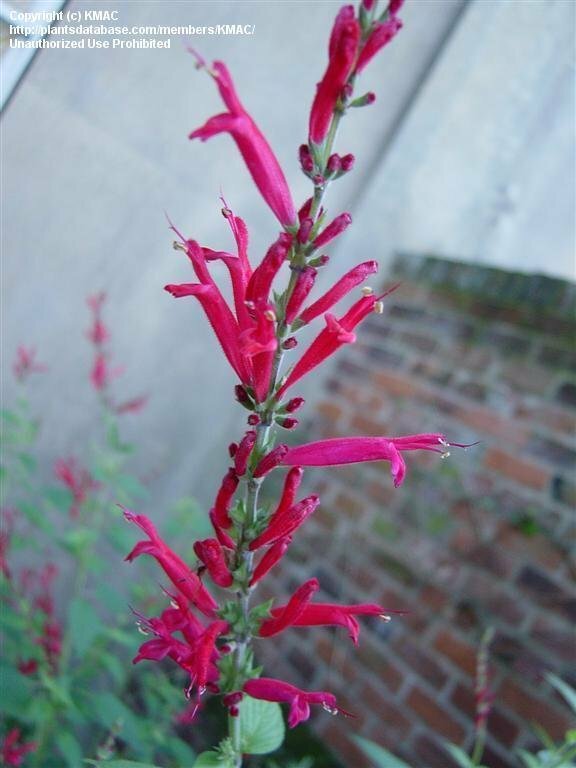 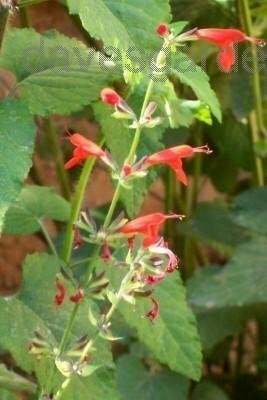 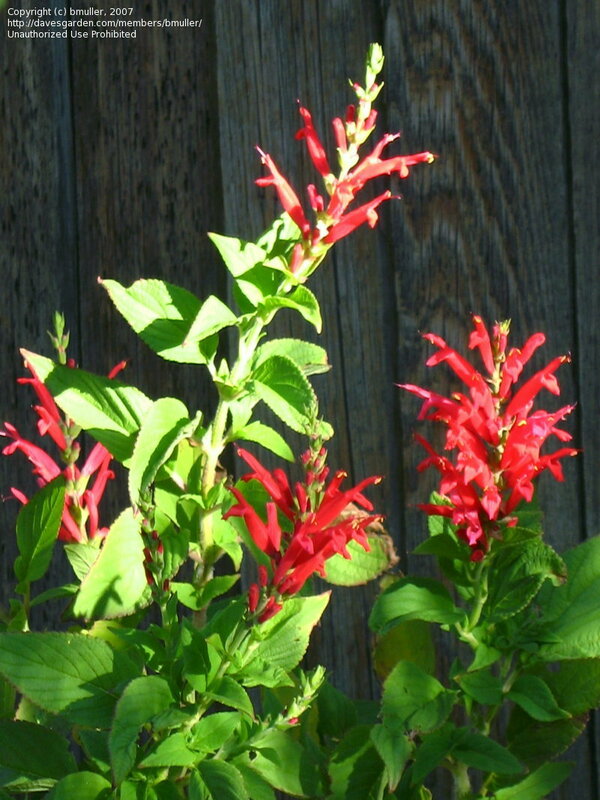 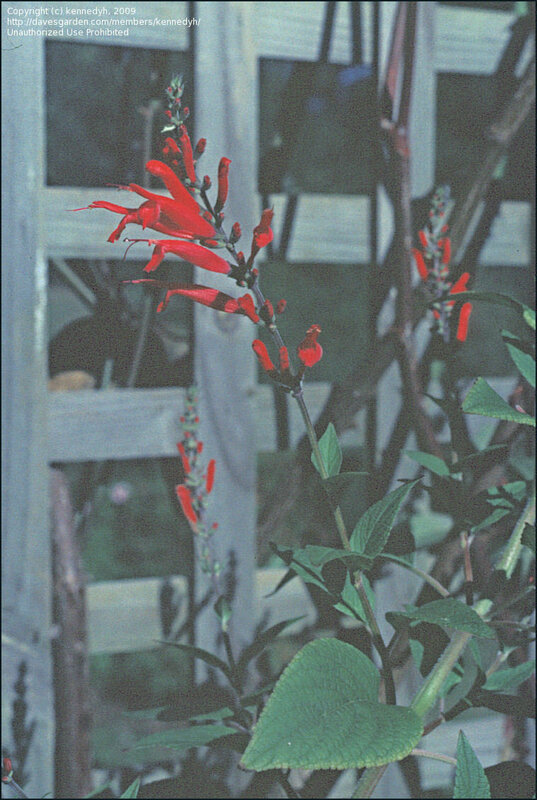 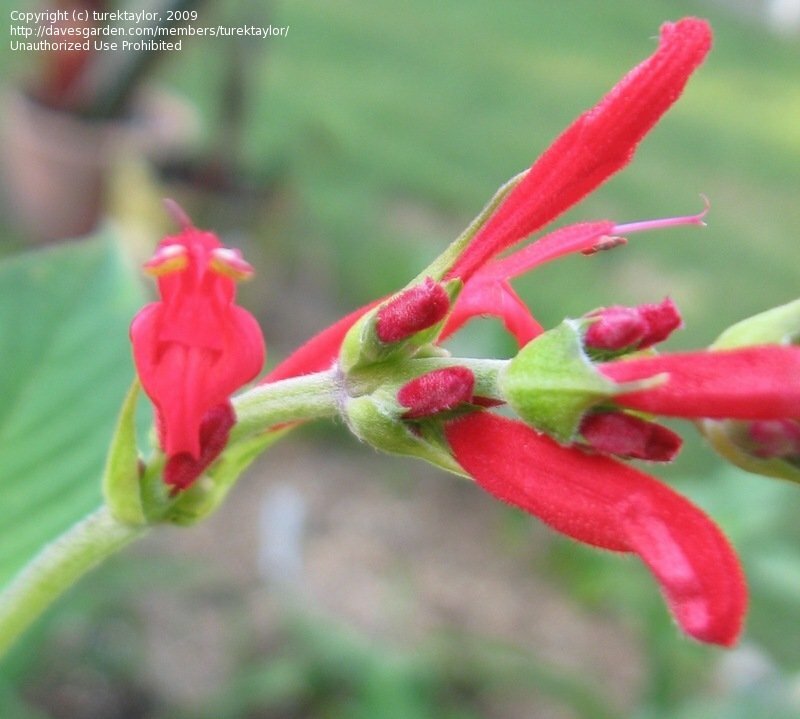 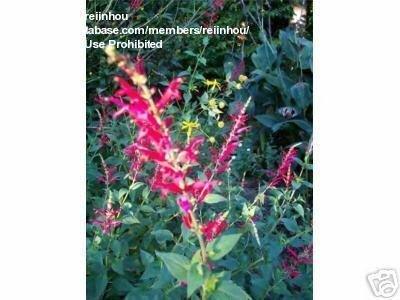 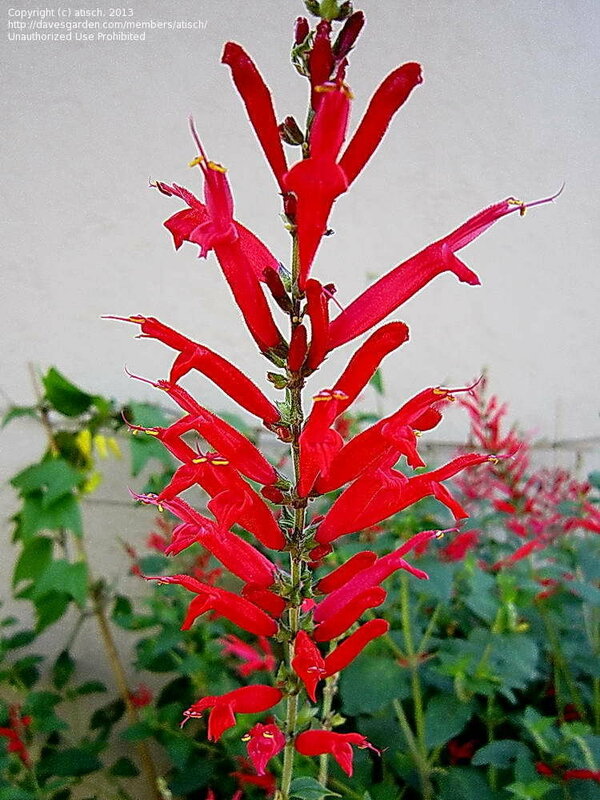 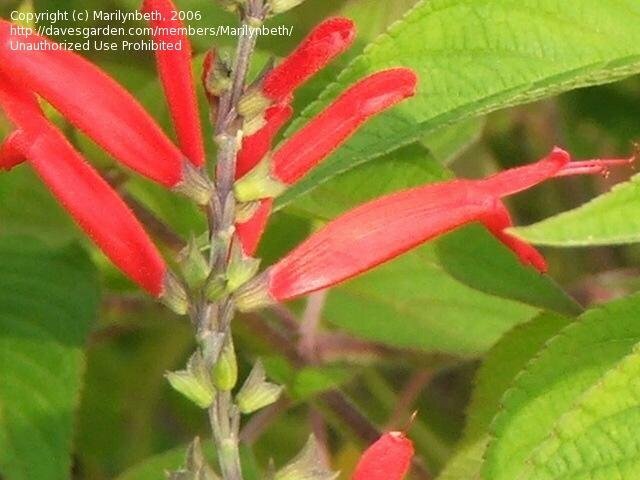 The lovely Salvia elegans, on my patio, Nov. 11, 2005. 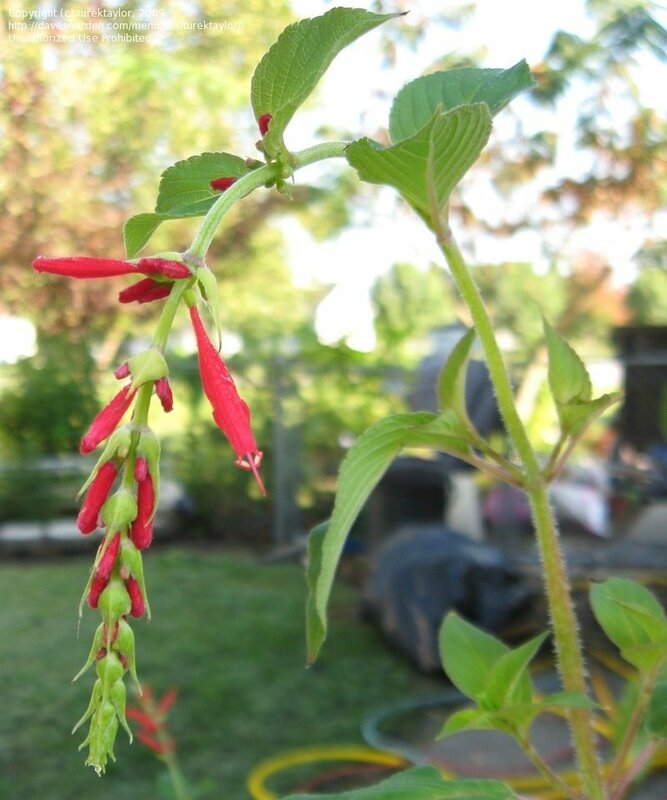 A 'closer' and bigger look of the Pineapple Sage bloom. 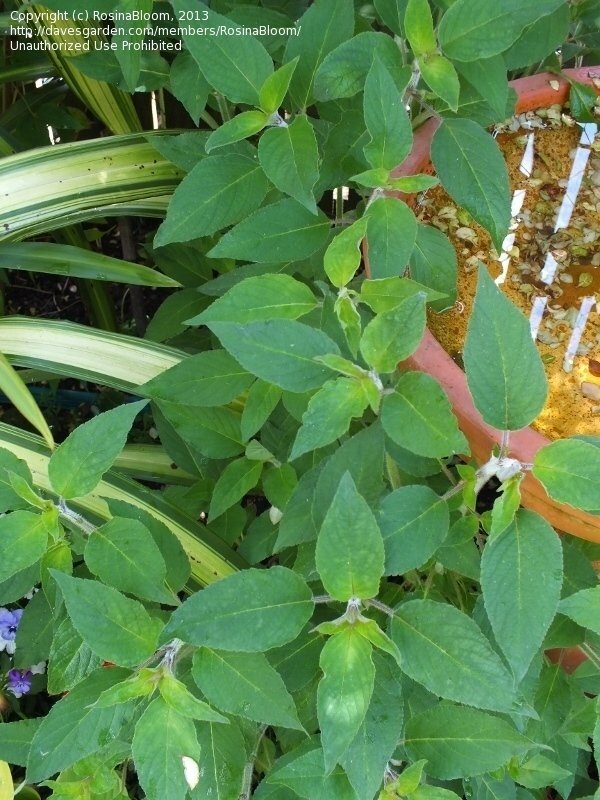 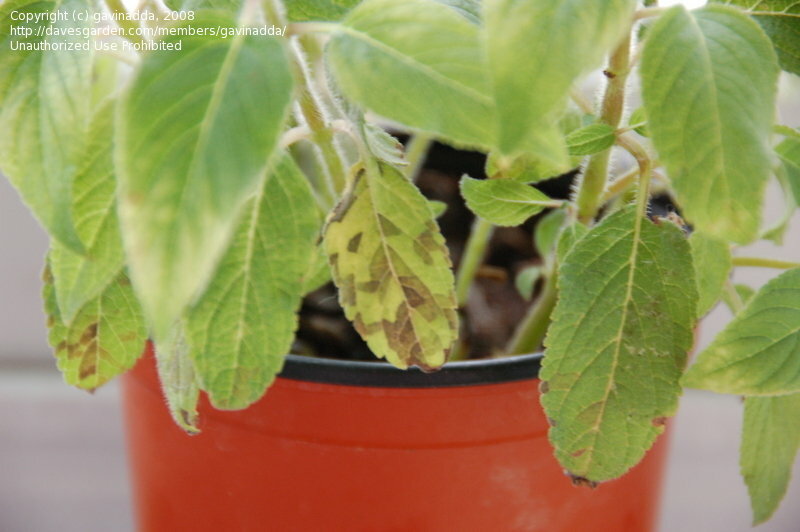 Started to see some spots come up on my Pineapple Sage - any suggestions? 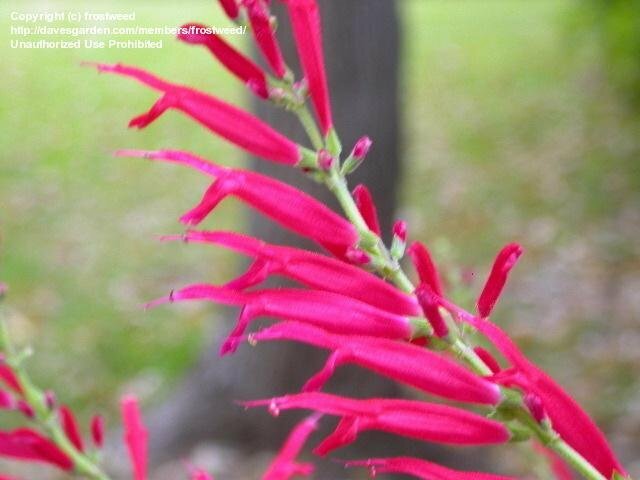 this was SO worth the wait!! 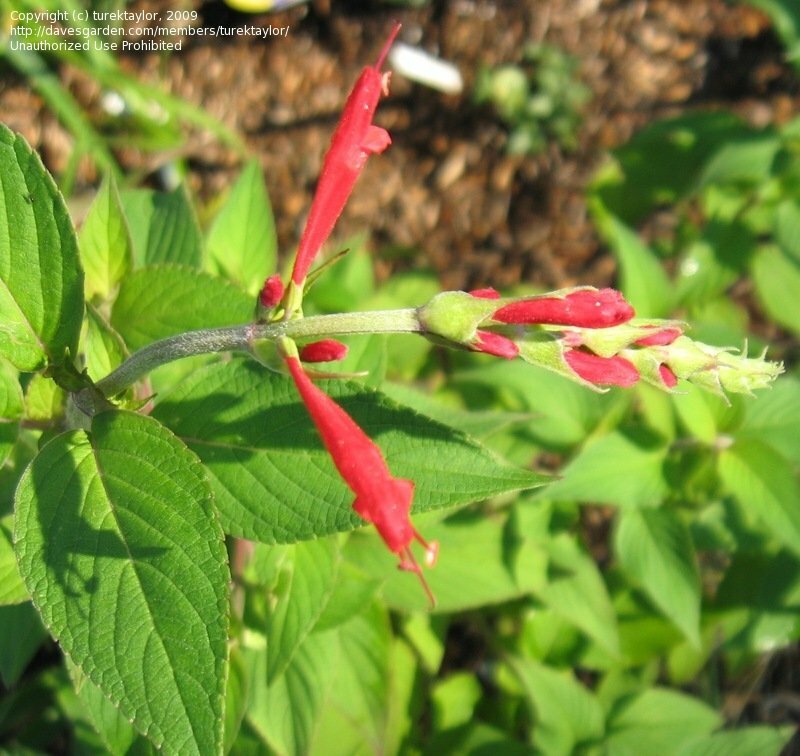 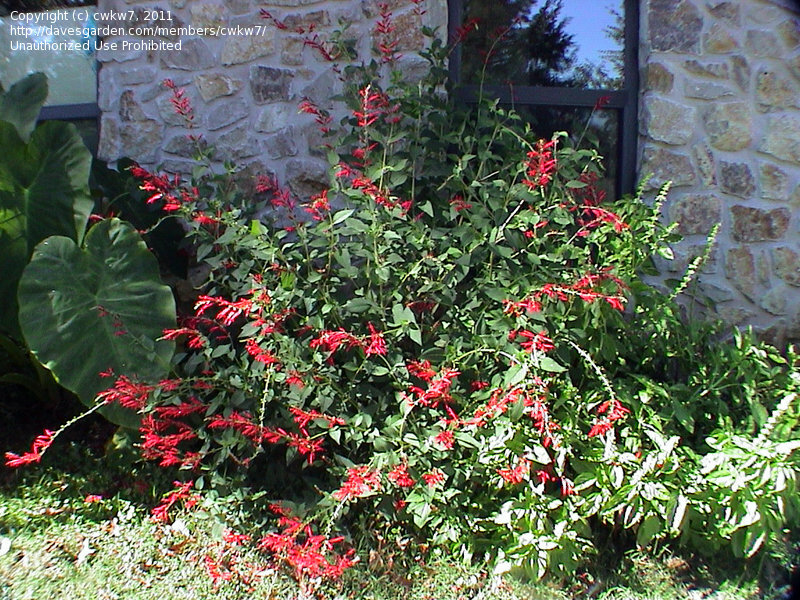 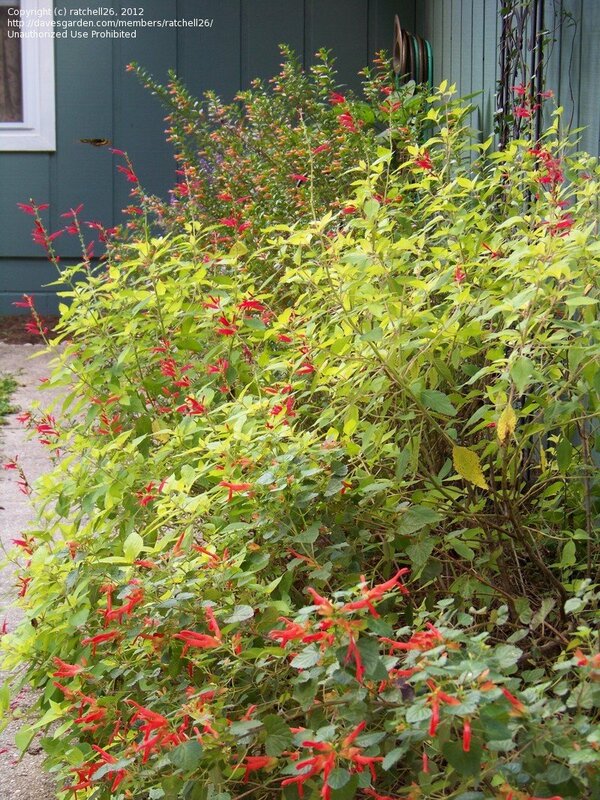 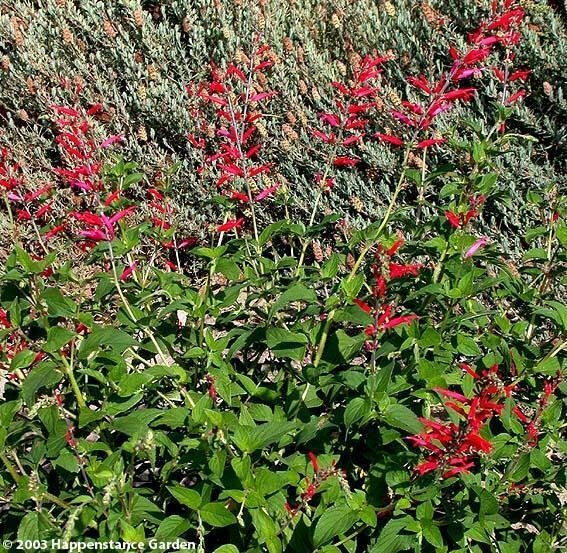 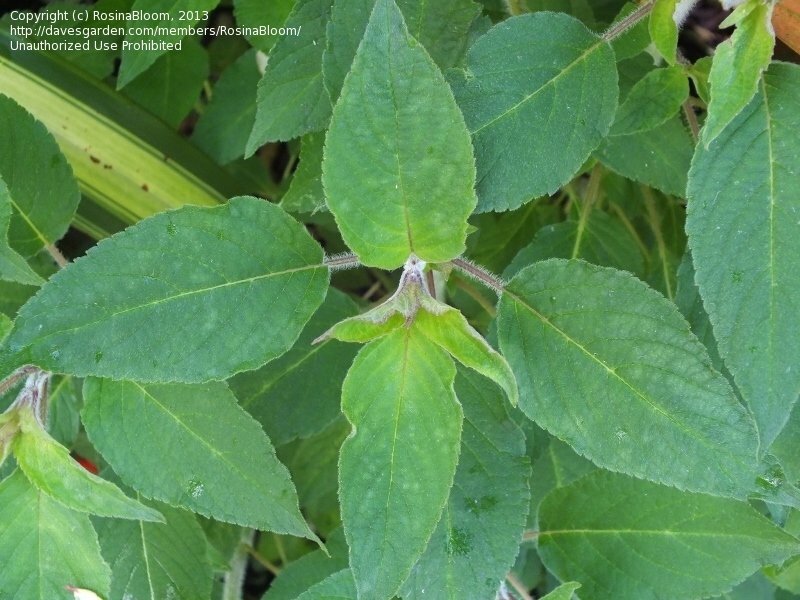 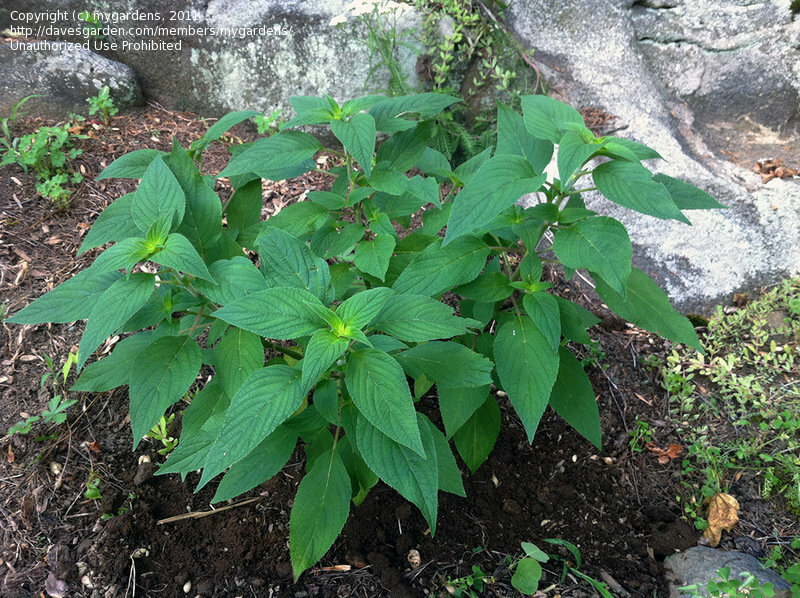 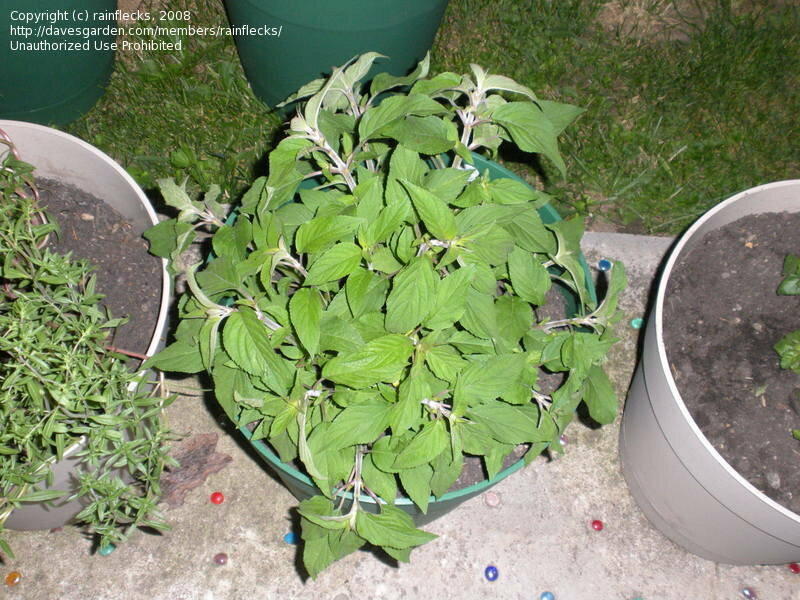 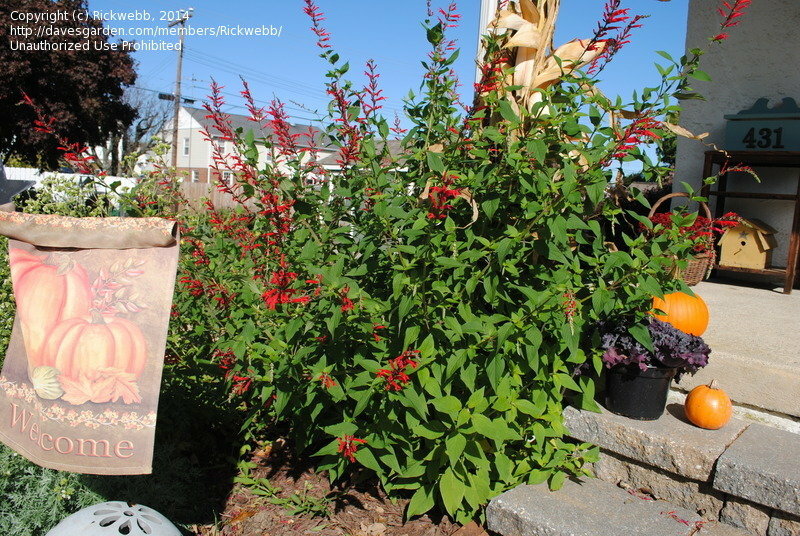 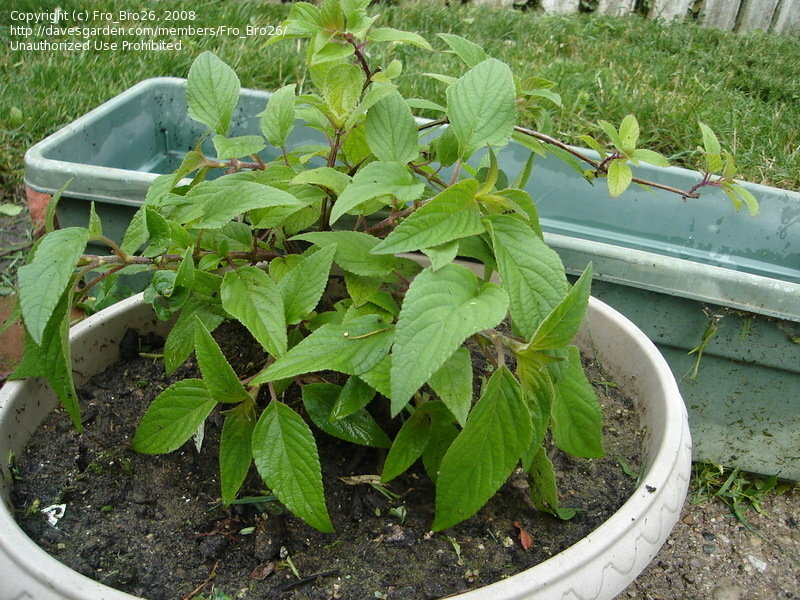 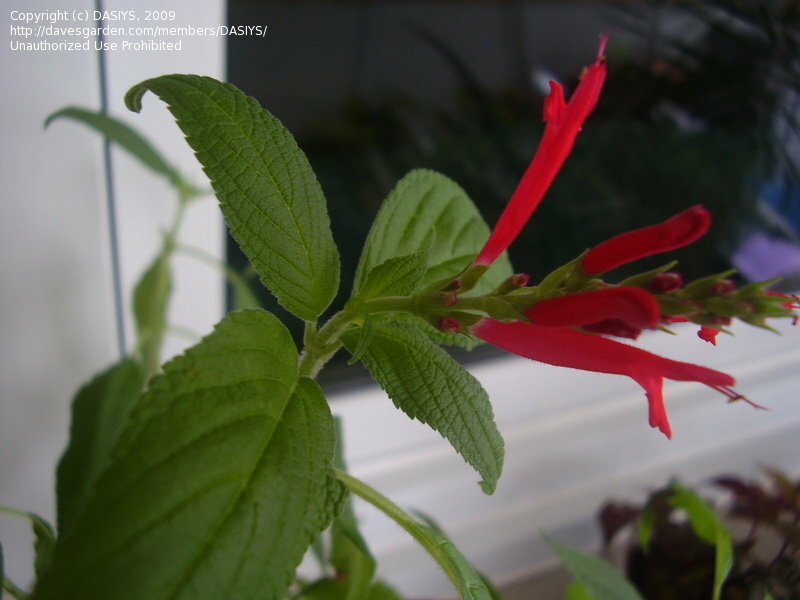 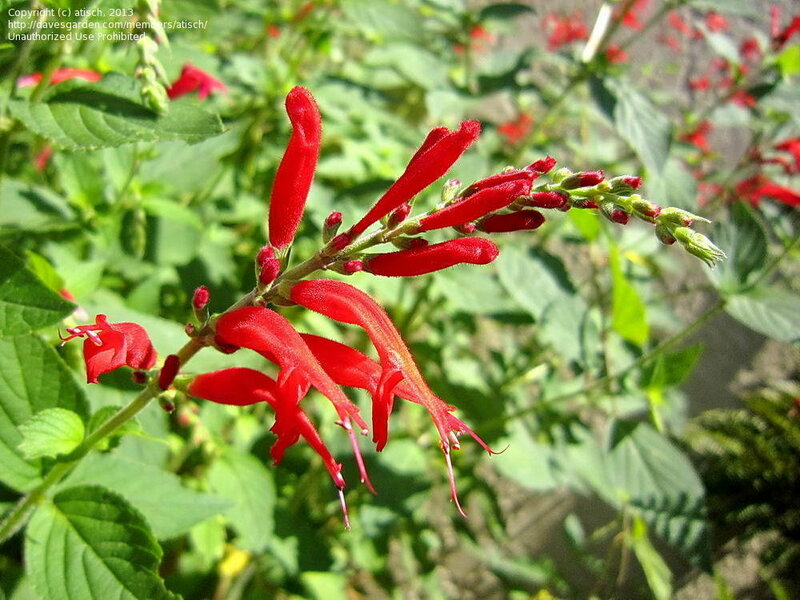 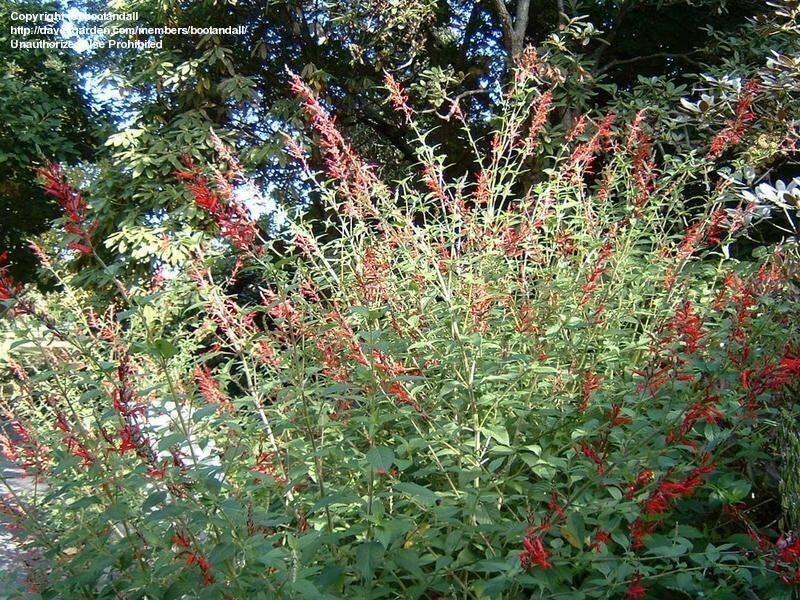 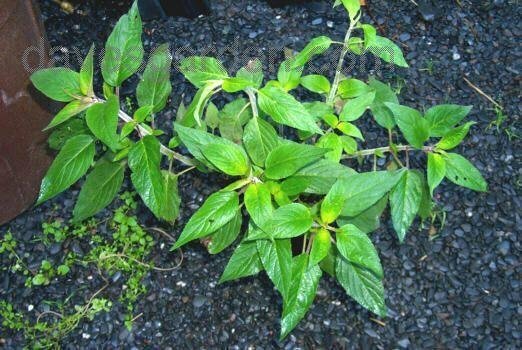 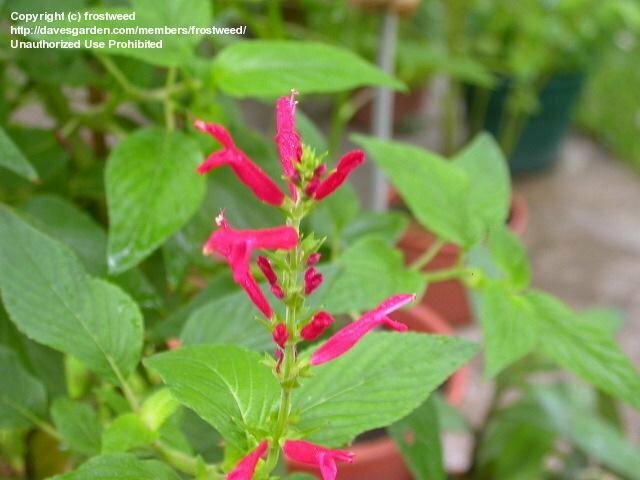 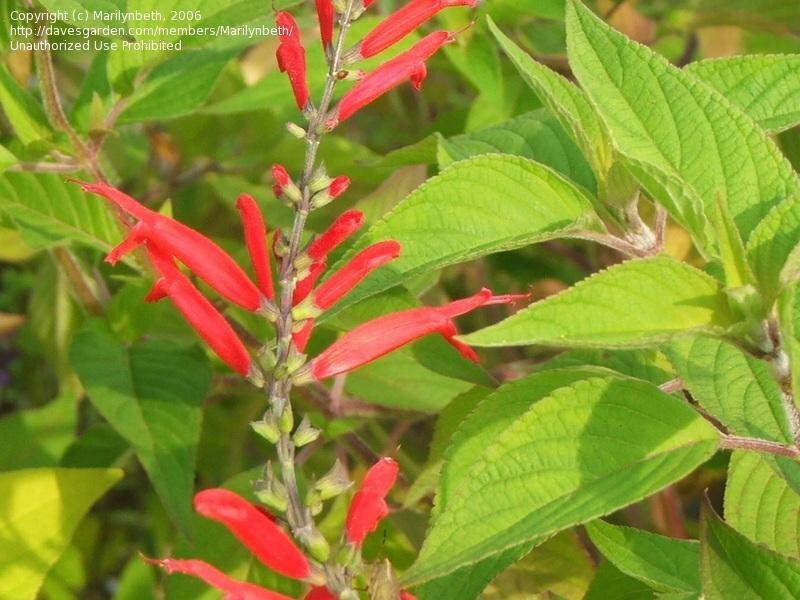 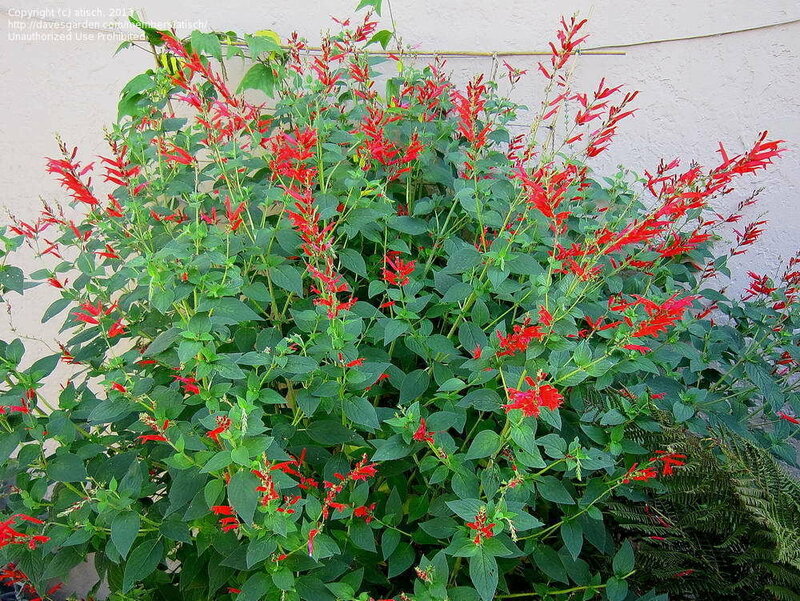 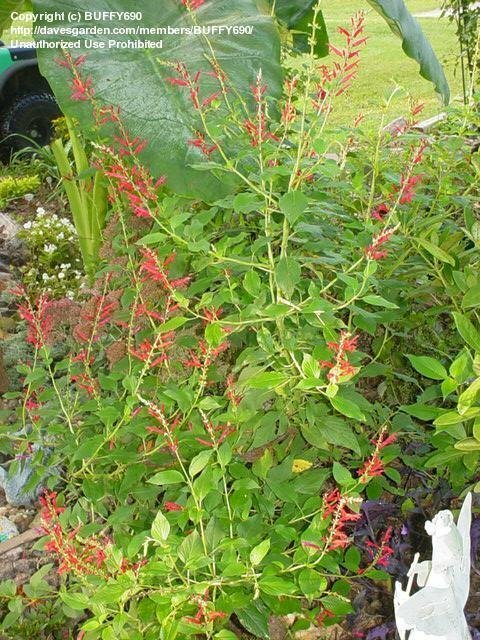 "Pineapple Sage, Salvia elegans, in my living room"
Growing in a large container in October. 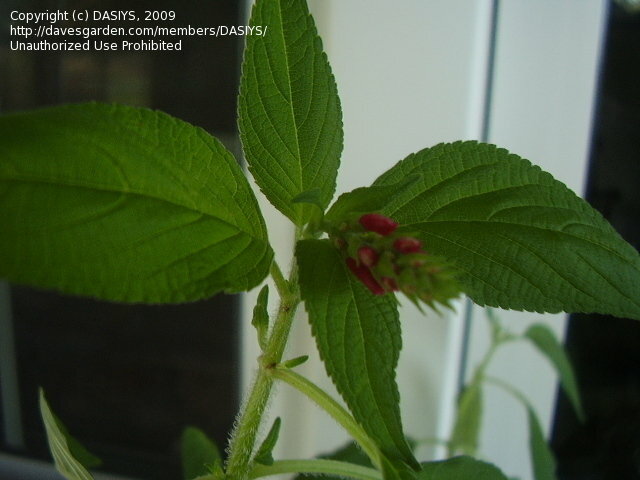 Passiflora citrina can just be seen behind. 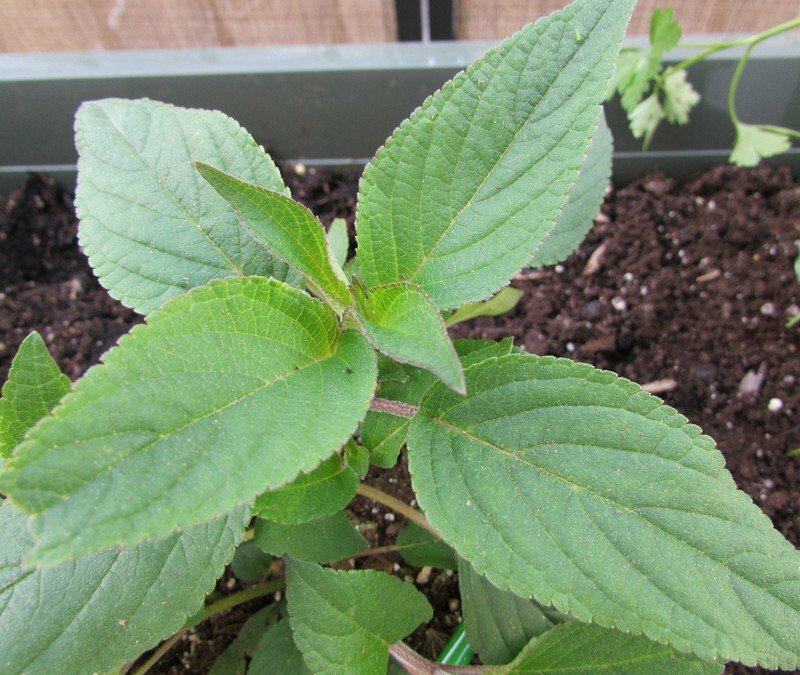 Growing in a large container in October. 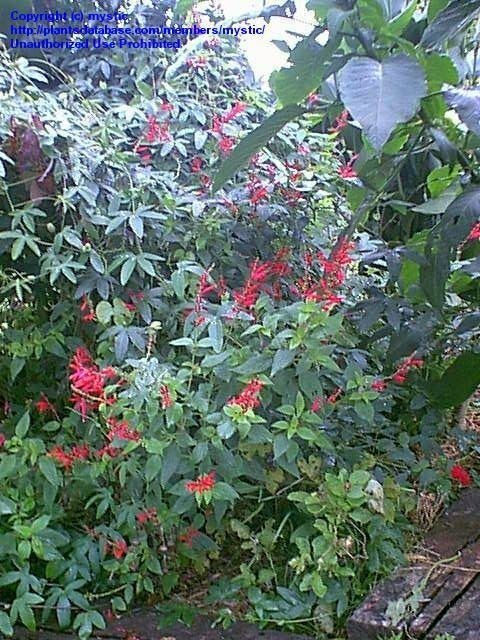 Passiflora citrina can just be seen in the background.